If you want to celebrate with your closest friends and family and share an adventure with them, this is probably right up your ally! Destination weddings are actually wedding weekend adventures with your people! These weddings end up being more than just a wedding since everyone traveled so far to share the experience with you, it's a whole weekend of crazy fun and celebration. Destination weddings are our expertise! This can be good whether your having a destination wedding or not. Cutting the guest list is can be a great idea to keep your wedding the way you want it; sometimes it's best to put a cap on how many guest are invited. For destination weddings this is a little easier, usually because the fact that your wedding is far away will naturally cut the guest list of the non-travelers. When you limit the guest list to just your family and closest friends it can be really spectacular. Elopements are becoming more and more popular among the younger generation. Eloping alone (or maybe with a couple friends and family) is a very intimate and magical way to spend the day together. Eloping really allows for the photographer to capture you and your partner in a more private setting than a typical wedding because you and your spouse's attention is focused on one another. Usually elopements are more simplistic, yet beautiful and sometimes thats the best thing for the couple. Simple can be really magical. Also, if you and your partner decide to travel for your elopement, it allows you to combine your wedding and your honeymoon into one exciting, yet relaxing travel experience. If this is more your speed check out Meant Two Be Cabo. Another good one for destination weddings & elopements or local weddings. Staying at a venue that can sleep all your guests adds to your weekend wedding adventure because the party doesn't have to end when the reception ends. Hotels here in Cabo typically have multiple stunning ceremony and reception locations on site which makes it easy! Getting married at the same hotel you and your guests are staying at is especially great for destination weddings. It's great because it keeps the whole crew together. For the few days following the wedding when everyone is hanging out together, staying at the same hotel really makes it convenient, easy and relaxing to see all your friends. 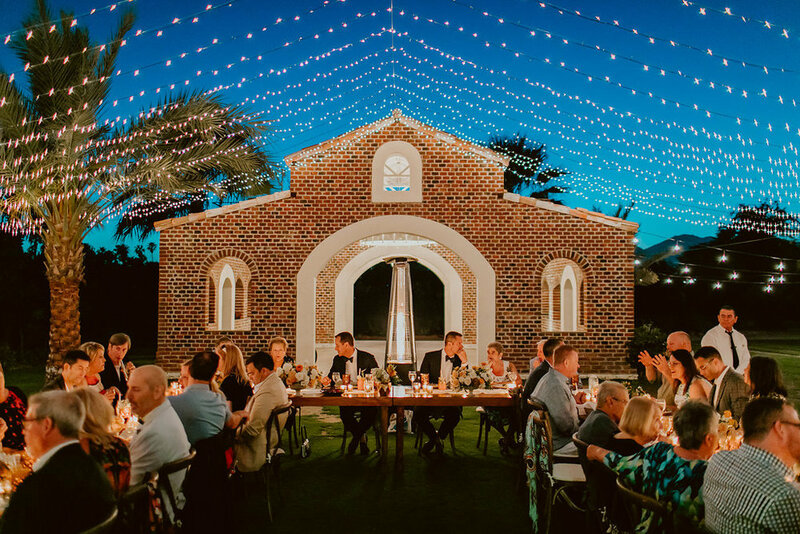 To keep the wedding feeling intimate, we suggest finding a Villa or a Boutique Hotel so you could rent out the whole thing for your private wedding party! Having the ceremony and/or reception outside can be very intimate. Outdoor weddings can feel like a curated, romantic, picnic of sorts. With lanterns, candles, the natural light and sunset, it feels really warm and cozy. Outdoor venues allow for so much creativity. There's always enough space to mingle and dance but it also feels like everyone is close and not spread out too much. 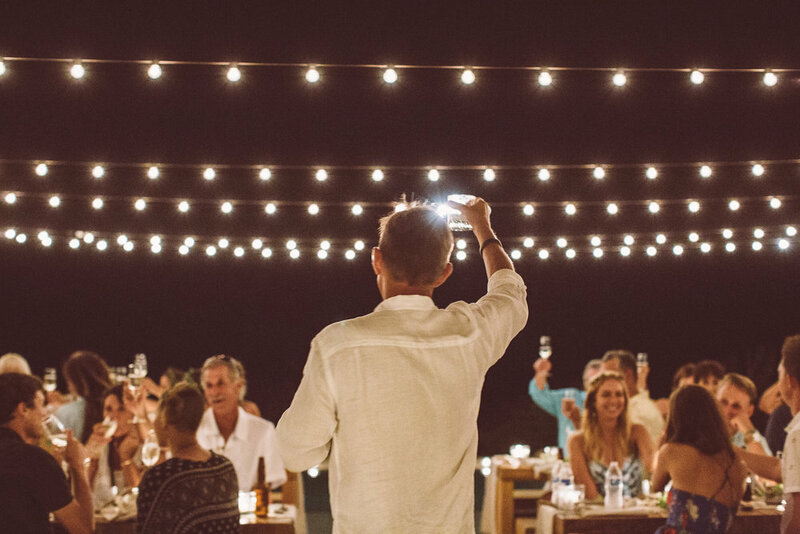 Especially, if you do a destination wedding here in Cabo, outdoor weddings are stunning and the weather is typically perfect for it. This one might seem like a given but sometimes your maid of honor & best man don't know they're supposed to prepare a speech in advance, or they forget to write it and just wing it. But, I'm telling you if you have them prepare their speech before hand, it will be heartwarming because these people are your best friends! They know what to say to make you melt, laugh and cry. Speeches are one of our favorite parts of weddings! It allows everyone at the wedding to hear a little insight, or a little dirt as some would say, on the bride and groom. They're usually funny and heartfelt all at the same time and something truly special. Many people have a hard time taking photos! So, to remember your special day and capture the special feeling, we suggest doing first look photos. First look photos are some of our favorites because since it's the first time the couples are seeing each other on their wedding day. It is quite emotional and truly breathtaking! Capturing this moment helps remember the day and that excitement forever.